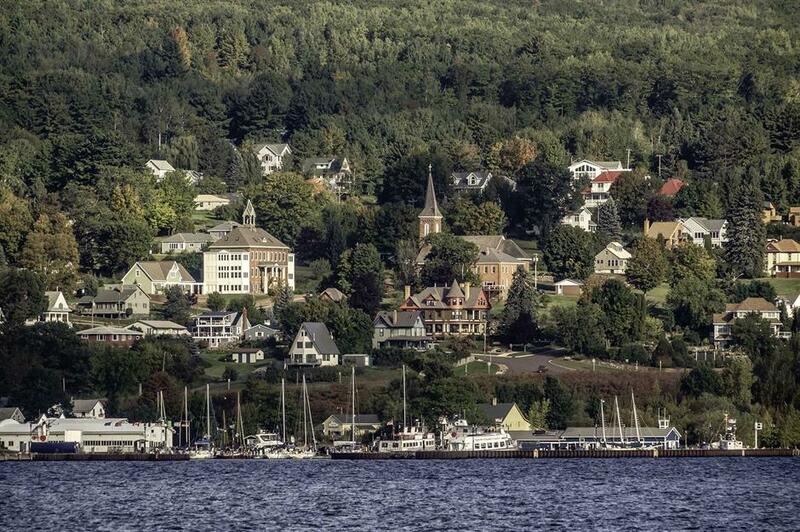 Escape the crowds and enjoy a much slower pace of life in these adorable small towns. We’ve chosen a hidden treasure for each state, and although some are technically cities, they’re so tiny you’re still a world away from heavy traffic and bustling streets. Here's where to enjoy small-town America. The remote town of Sitka is one of Alaska's most beautiful. Located on the harbour in the foothills of the Three Sisters mountain range, there are plenty of outdoor activities on offer, from boating and kayaking to fishing and hiking. The ancestral home of the Kiksadi Tlingit, Sitka’s fascinating heritage can be explored in the town’s museums and National Historical Park. 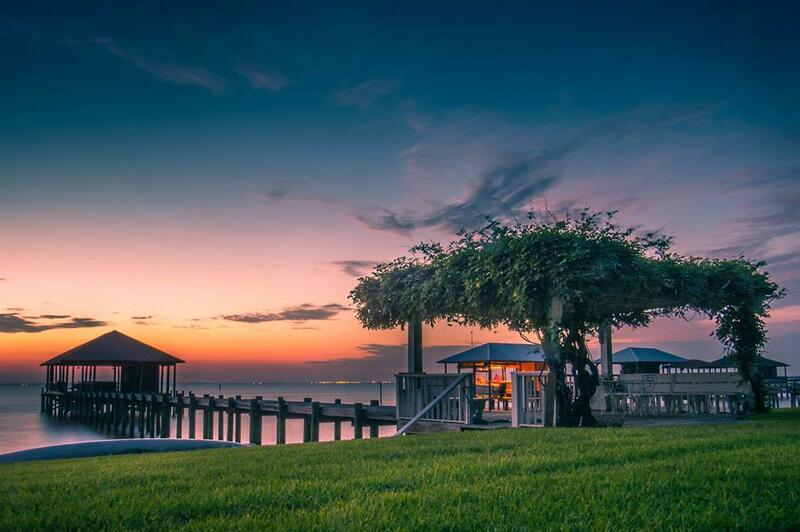 Stretching along the shore of Mobile Bay, Fairhope is perfect for observing stunning sunrises and sunsets. Founded in 1894, the brick and ironwork in the city’s French Quarter is reminiscent of New Orleans while the rest of Fairhope offers scenic walks through charming streets lined by oak trees and antebellum homes. 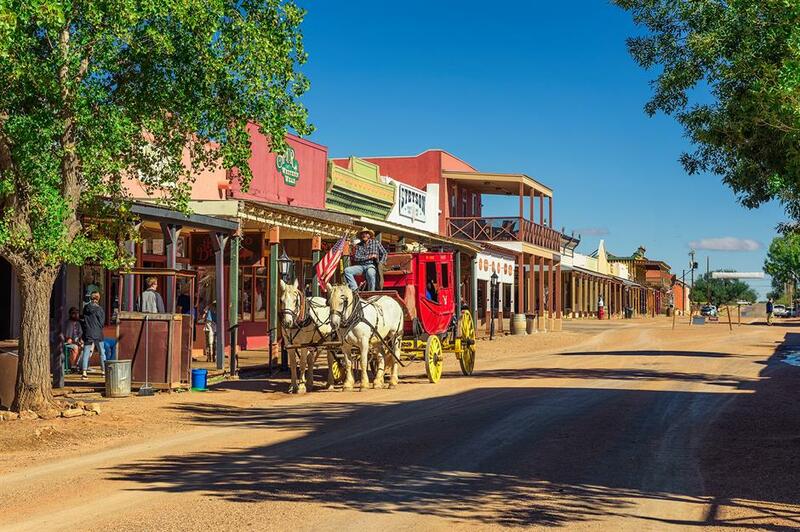 One of the last silver-mining boom towns in the Wild West, Tombstone is now a living relic of the old days of cowboys and gunslingers. The streets are lined with red-brick buildings, 20th-century saloons and quirky storefronts. 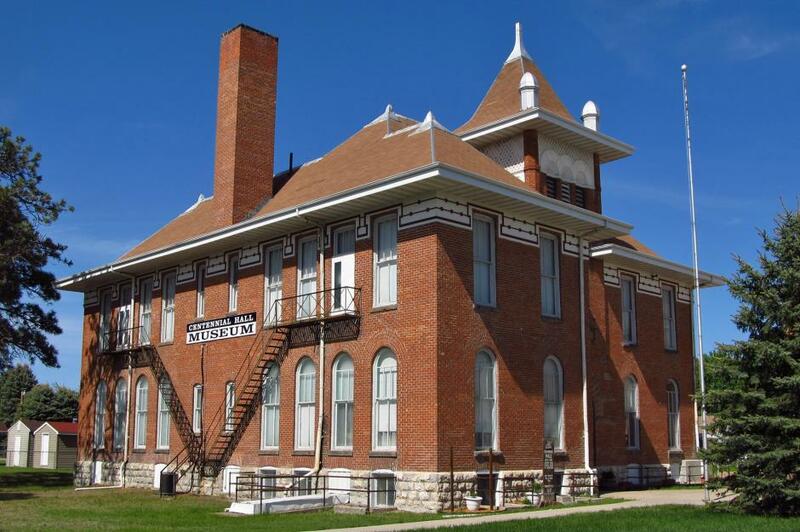 Take a tour of the old courthouse, visit the Gunfighter Hall of Fame and watch battle re-enactments on the streets. Situated in the heart of the Ozarks, the scenic town of Eureka Springs in Arkansas is lined with Victorian-style architecture. There are also plenty of independent shops and bars and a distinct lack of chain stores. The town is also home to the state’s best-known landmarks: the Thorncrown Chapel and The Christ of the Ozarks, a 66-foot-tall statue of Jesus with his arms open. St Helena, California is in the heart of the state’s wine community. 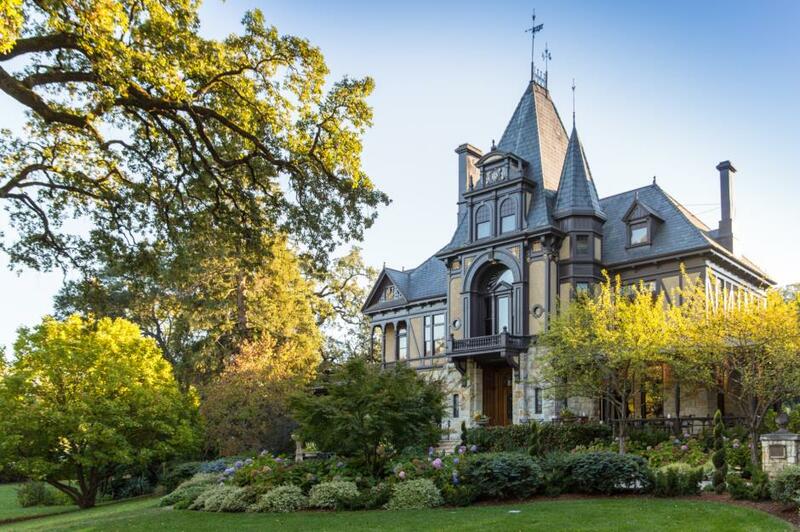 Nestled in the hills of Napa County, this charming town is surrounded by vineyards and dotted with grand buildings, including Rhine House (pictured), home to Beringer winemakers. You’ll also find plenty of award-winning restaurants and boutique hotels, making it the perfect place for an indulgent long weekend. See the best of the Golden State with our guide to the top 50 Californian attractions. 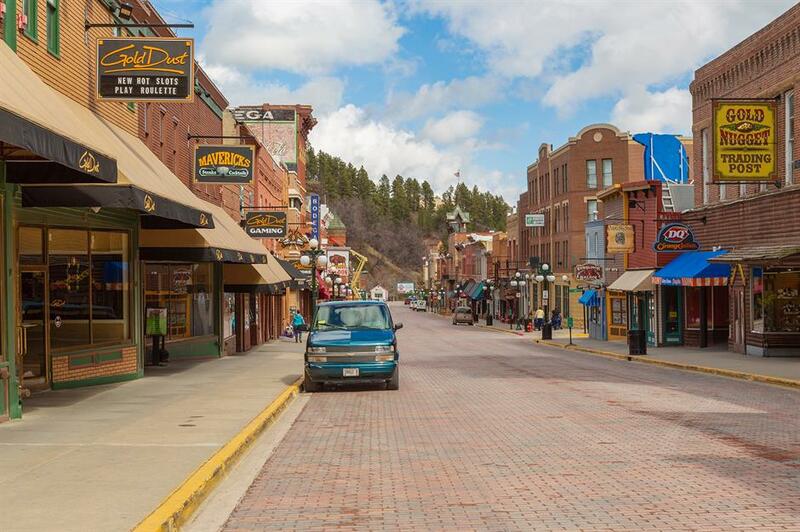 Once a thriving silver-mining community, Leadville was almost named the capital of Colorado. 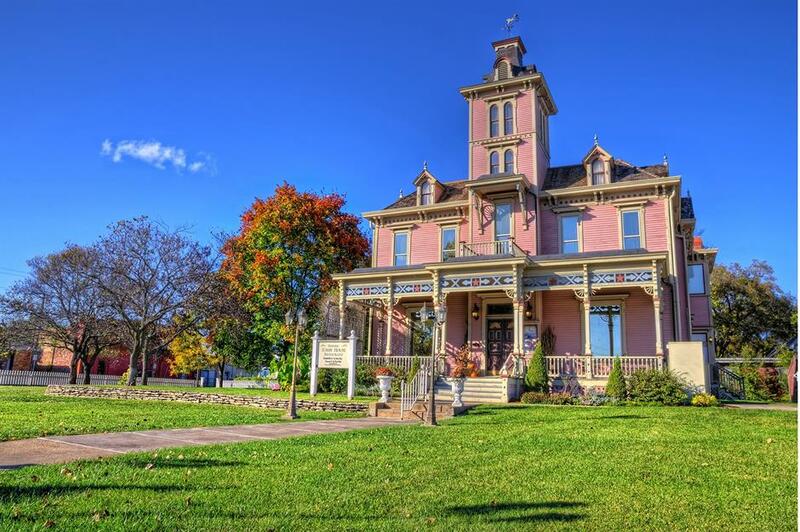 The small city, which has a population below 3,000, is lined with well-preserved Victorian buildings, with more than 50 dating back to the 1870s. 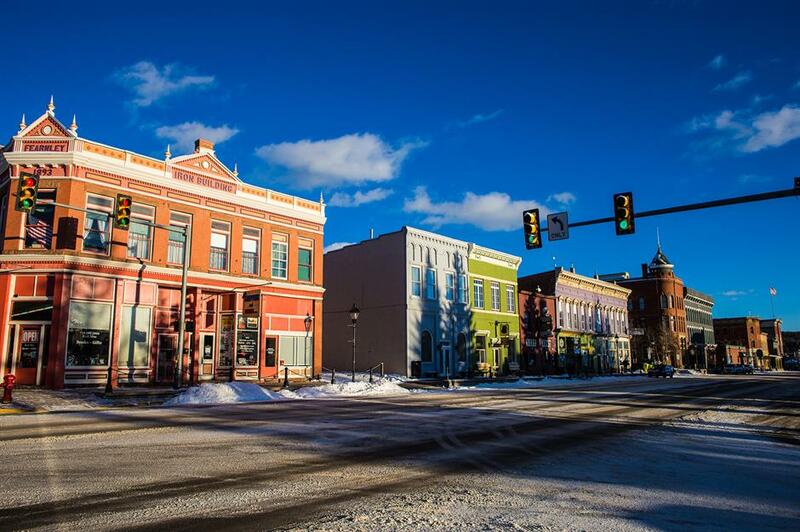 Leadville is also the state's highest city, so it's surrounded by beautiful scenery. You can even take a scenic railway tour into the Rocky Mountains. Now read 14 other reasons why Colorado should be your next American adventure. Perhaps best known as the setting for the 1988 film Mystic Pizza, this southern Connecticut port town has so much more to offer. Enjoy the classic architecture as you stroll through the 18th-century style Olde Mistick Village and take a tour of Mystic Seaport, where you’ll find four National Historic Landmark ships. Lewes Historic District, the heart of the small city, is a quaint area filled with Victorian structures, churches, museums, boutiques and several fine restaurants. But the peaceful and laid-back beaches are the town’s main attraction. 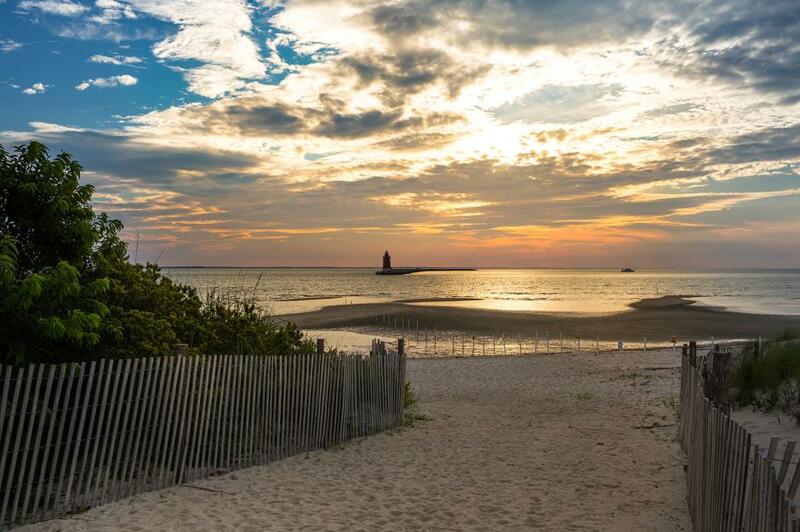 For a pleasant 4.6-mile walk, follow the Cape Henlopen trail along the coast and look out for the military bunkers tucked away in the sand dunes. 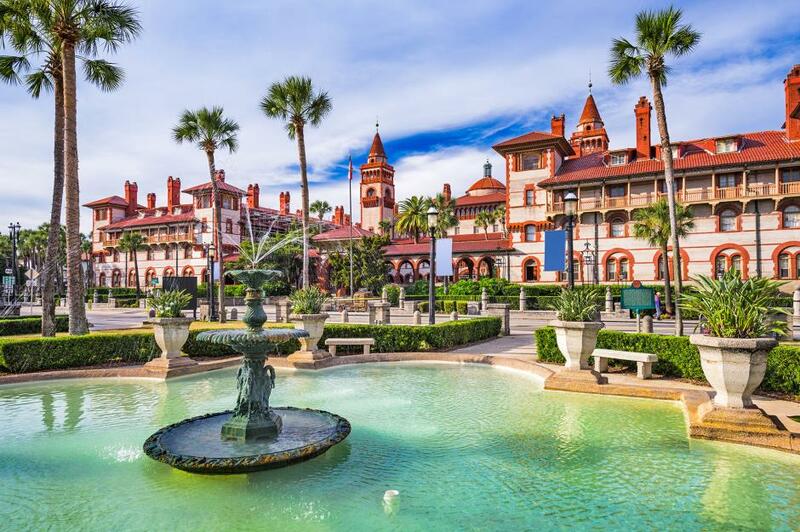 With over 400 years of history, St. Augustine in Florida claims to be one of America’s oldest settlements. Founded in 1565 by the Spanish, the small Old City is a charming mix of narrow streets, museums and 18th- and 19th-century buildings, some of which are rumoured to be haunted. 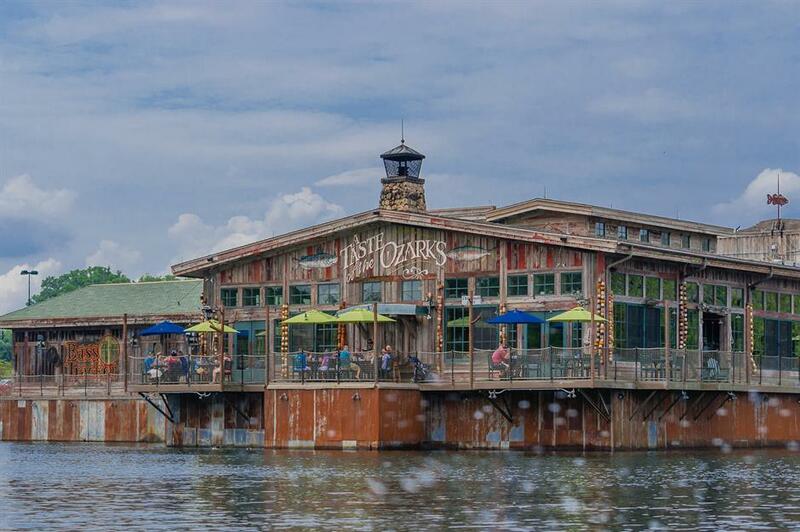 Check out our guide to the top 50 Floridian attractions here too. With its German-style shops, beer gardens and horse-drawn carriages, Helen in Georgia is a charming recreation of a Bavarian Alpine village. With flowing beer and plenty of bratwursts, the town holds one of the largest Oktoberfest celebrations in the country. Discover 15 things you need to know before visiting the Peach State. With beautiful sunsets, incredible beaches and fresh seafood, Paia is just one of many charming places to explore in Hawaii. Laid-back with a bohemian vibe, you’ll find plenty of colourful coffee shops, yoga studios, surf shacks, street art and the popular Paia Fish Market in this pretty town. Wallace in Idaho is surrounded by forests and there are plenty of ways to enjoy its natural attractions. There's biking and zip-lining for adventure seekers, and hiking along the Blossom Lakes Trail, the Trail of the Coeur d’Alenes and Route of the Hiawatha. The town is also one of the world’s largest producers of silver and is famous for its mining industry. 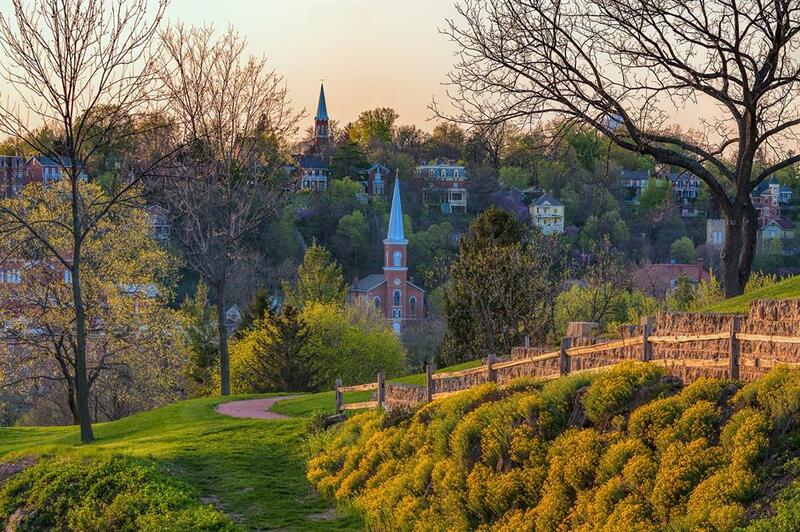 The quirky town of Galena, Illinois is full of traditional charm. 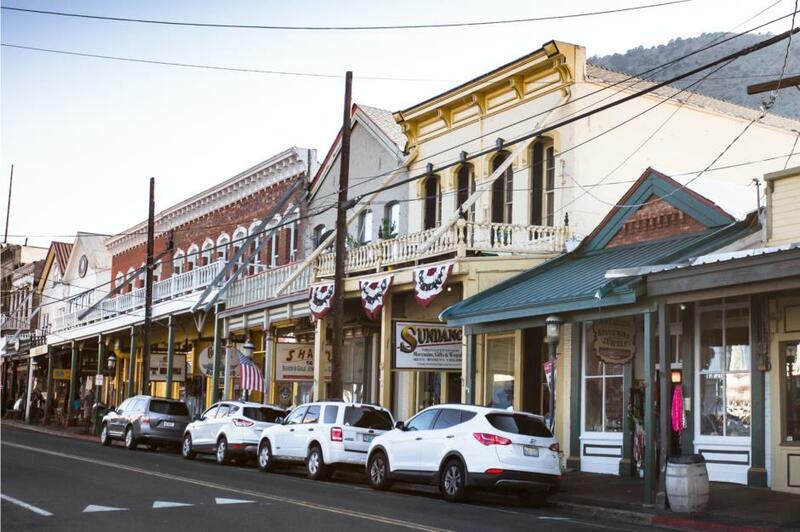 Take a stroll along the cobbled streets, past the old-school blacksmiths and the P.T Murphy Magic Theater and head down to Main Street, where you’ll find boutique stores, antiques shops and restaurants. 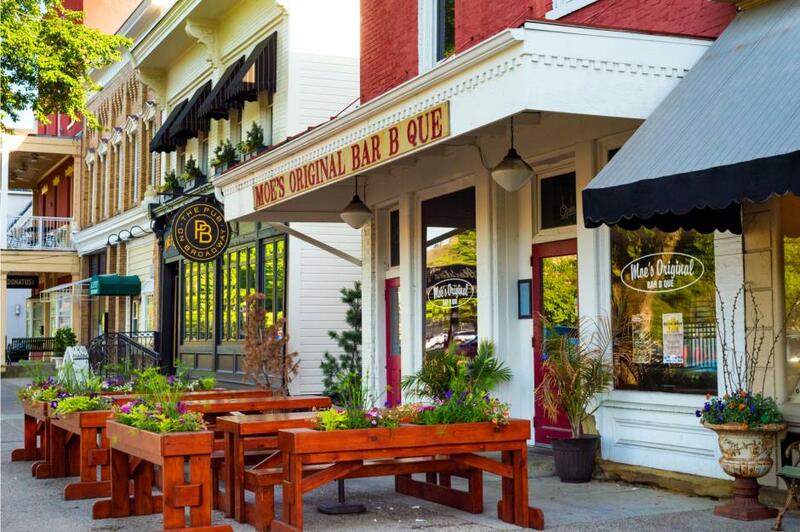 An utterly charming collection of 19th-century buildings, Madison has lots to offer. From historical sites (the entire downtown is a National Historic Landmark) to locally-owned shops, galleries and casual restaurants, it’s a relatively short drive from Louisville, Indianapolis and Cincinnati, making it the perfect destination for day-trippers. Founded by Dutch immigrants, Pella is otherwise known as America’s Dutch Treasure. Its canal, distinct Dutch architecture and traditional windmills make for a very European feel as its more Amsterdam than Iowa. 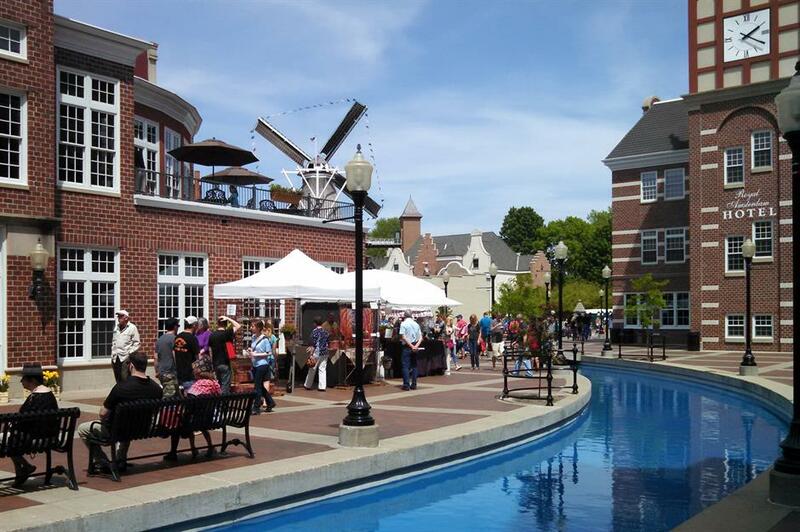 The city's Dutch heritage is also celebrated at the annual Tulip Time Festival with tulip gardens, music, food and daily parades. Abilene in Kansas is most famous for being the hometown of President Eisenhower, and no first-time visit would be complete without visiting his house at the Dwight D. Eisenhower Library and Museum, where he is now buried. The Georgian-style Seelye Mansion is also a popular attraction. 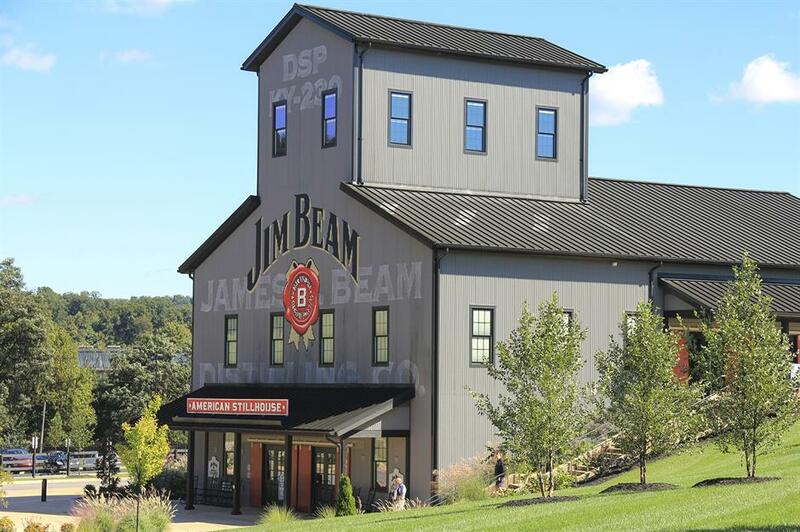 Most notably, the home to Jim Beam American Stillhouse, Clermont is a prominent stop on the famous Kentucky Bourbon Trail. Jim Beam offers distillery tours while the nearby Bernheim Arboretum & Research Forest is perfect for long walks. The Bullitt County is steeped in bourbon history so don't miss the chance to visit other distilleries nearby, like Maker's Mark and Heaven Hill. The historic Natchitoches (pronounced nah-codish) was a French colony founded in 1714 and is the oldest permanent settlement in Louisiana. 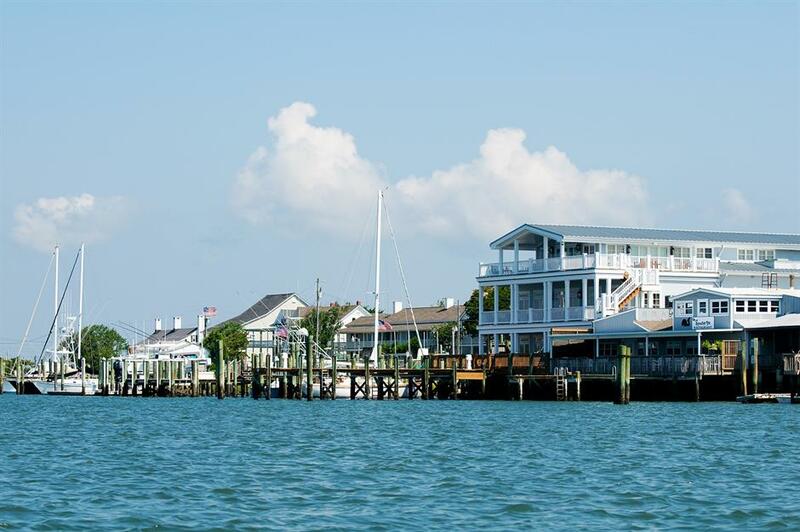 Situated on the Cane River, the area has maintained its distinctive French Creole architecture, with elegant townhouses, wrought-iron balconies and brick paths. 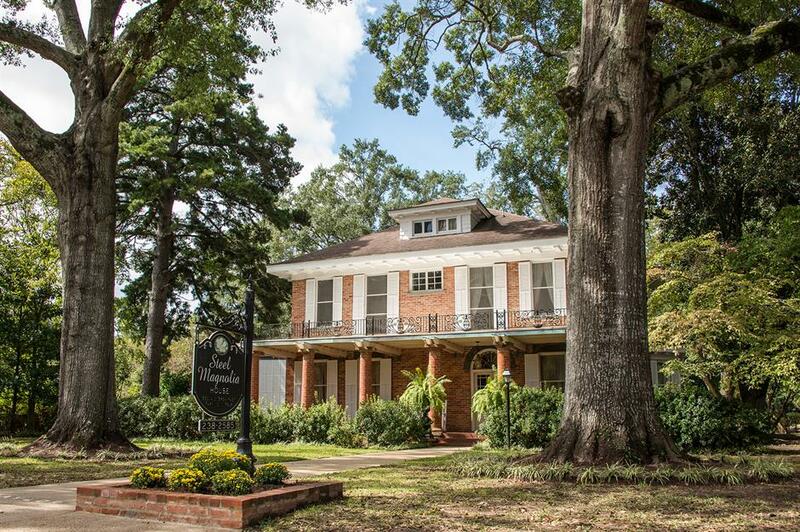 It’s also home to the Oakland Plantation (pictured) and is the location of the film Steel Magnolias. Nicknamed the ‘jewel of the Maine coast’, Camden is a quintessential seaside town with a charming harbour, an old lighthouse, jagged rock bays and sunset cruises. 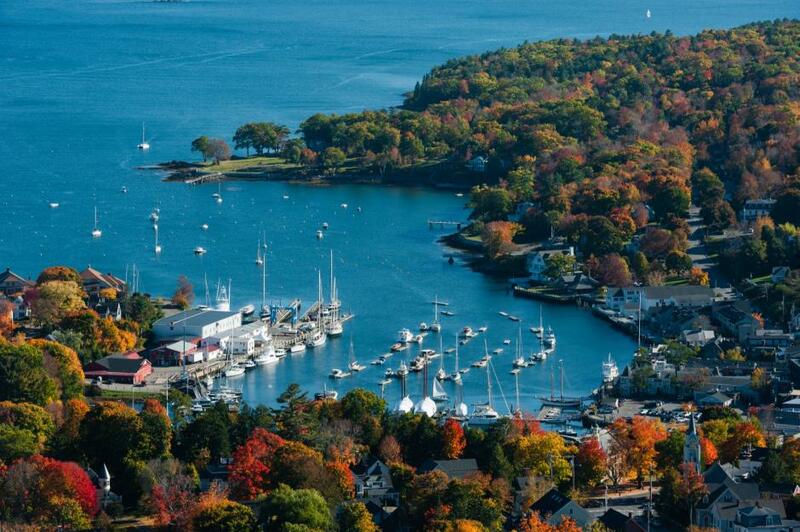 Many visitors enjoy hiking up nearby Mount Battie or indulging in the town’s many coastal restaurants. The vibrant town of Berlin is often described as having a cool, laid-back atmosphere and it's also incredibly pretty. Its Main Street has a mix of Victorian and early 20th-century buildings, many of which are listed in the National Register of Historic Places. The town is also dotted with beautiful magnolias and sycamores and is close to the sandy Assateague Island, where wild horses roam. 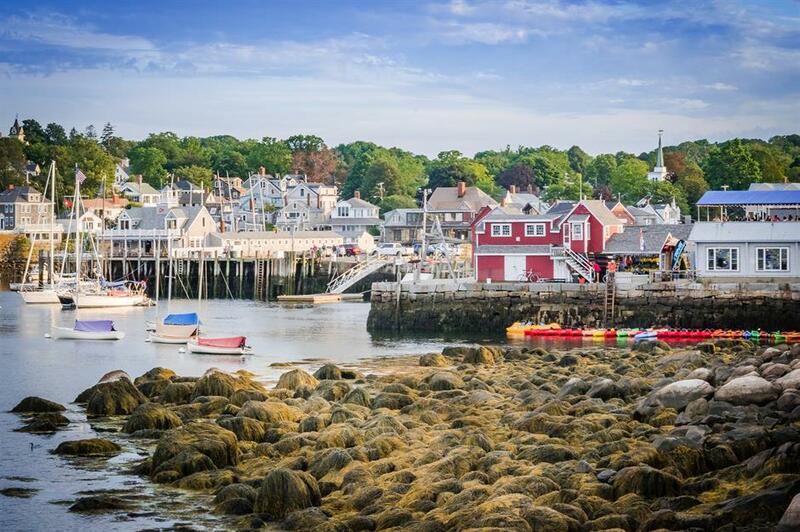 The romantic coastal town of Rockport in Massachusetts, located on the Cape Ann peninsula, is surrounded by beautiful beaches and home to Motif Number 1 – a red fishing shack often cited as the most-painted building in America. Head to the town’s Main Street to discover quirky art galleries, a pottery studio, gift stores and Tuck’s Candy Factory and their delicious salt water taffy. 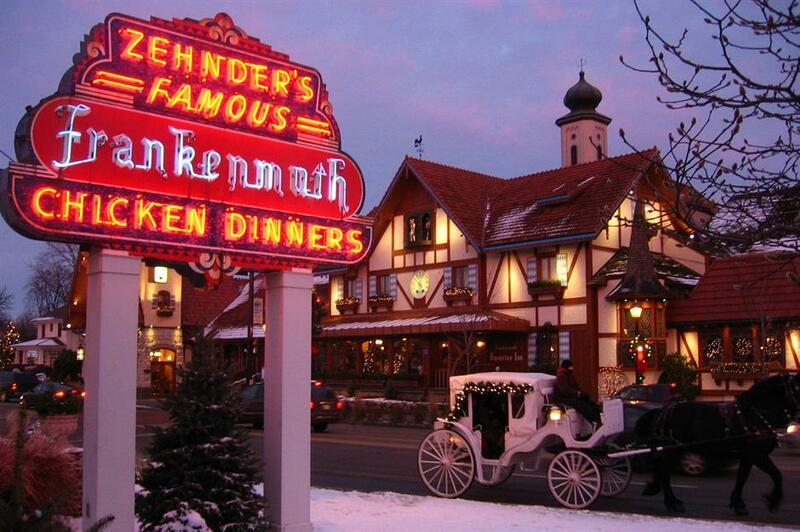 Known for its Bavarian-style architecture, Frankenmuth is a celebration of the area’s German roots. Settled in 1845 by German Lutheran immigrants, the town is now filled with Bavarian-themed bakeries, restaurants and hotels. Don’t miss Bronner’s Christmas Wonderland – a Christmas shop that began trading in 1945 and is open 361 days a year. The small town of Lanesboro in Minnesota sits along the scenic Root River State Trail. Covering around 60 miles, you can journey along the route on foot, cycle or hire kayaks and tubes to float down the river. The quaint town centre is full of individual shops and bars, with a refreshing lack of chain stores and fast food outlets. 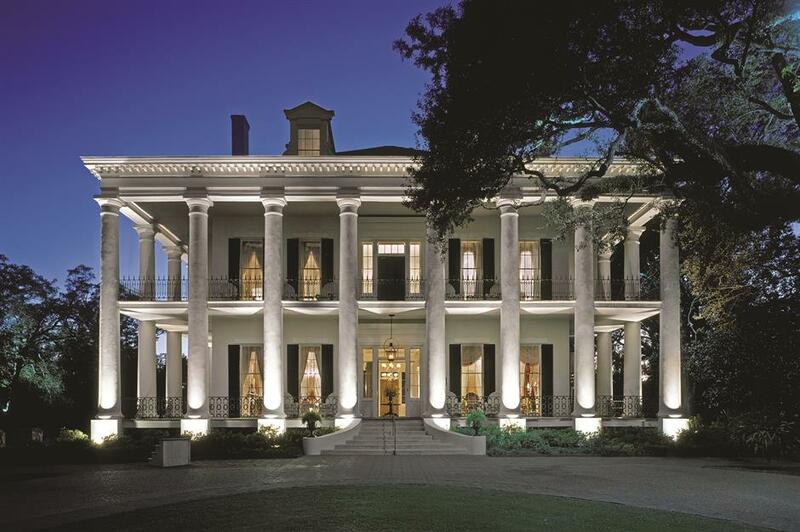 Set on the Mississippi River, the elegant town of Natchez has everything you might want from a southern town – historic antebellum homes, beautiful scenery and traditional southern cuisine. Here you can walk along the riverbank, hitch a ride on a horse-drawn carriage or visit the town’s art galleries and museums. Close to the Ozark mountains, there’s lots to do in Branson, Missouri. Here you’ll find the quaint US Silver Dollar City, an 1880s-themed amusement park with rides, performances and craft demonstrations. Visitors can also hop on the Branson Scenic Railway for a tour through the Ozark foothills between March and December. Don't miss a chance to dine at the White River Fish House, serving hearty country cooking and seafood dishes. 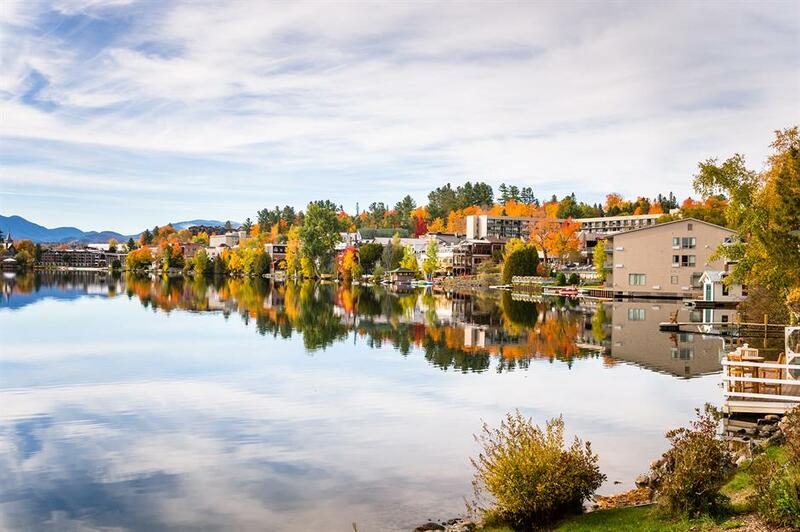 During the winter months, the mountain town of Whitefish in Montana is a popular ski resort. The main street is also a must-see at Christmas, as the snow-capped peaks provide the perfect backdrop to the festive markets. In summer, the lakes transform into scenic swimming spots and the mountain trails are overtaken with bikers and hikers. With rolling hills and sandstone canyons at the Smith Falls State Park nearby, Nebraska’s Valentine is a small town with a lot to offer. Nicknamed God’s Country by locals, you can also visit the Fort Niobrara National Wildlife Refuge where elk and bison roam. Pictured is the Centennial Hall Museum, housed in the state's oldest high school building, which displays historical artefacts from the area. Walking down Virginia City’s main street is like stepping into a Wild West cowboy film, thanks to the kitschy Western-style saloons, restaurants and shops. Once a bustling silver-mining community, which attracted thousands of newcomers including Mark Twain, the quaint town in Nevada is now home to fewer than 900 people. 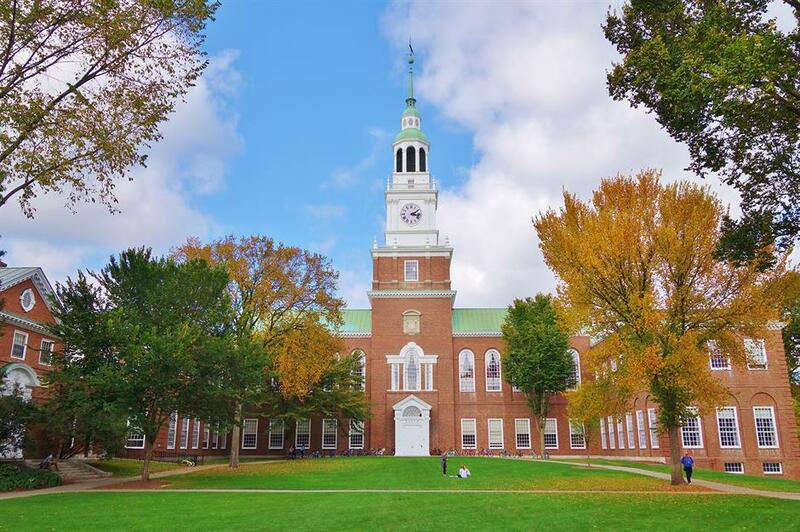 Home to the prestigious Ivy League Dartmouth College (pictured), Hanover is one of the nation’s oldest towns. Head to Main Street for New England architecture, individual boutiques, art galleries and restaurants. The town is also located along the Connecticut River, where you can enjoy kayaking and canoeing or take a walk across the pretty Ledyard Bridge. A stroll along the seafront is a must-do when visiting this charming coastal city, which has a population of around 4,000. 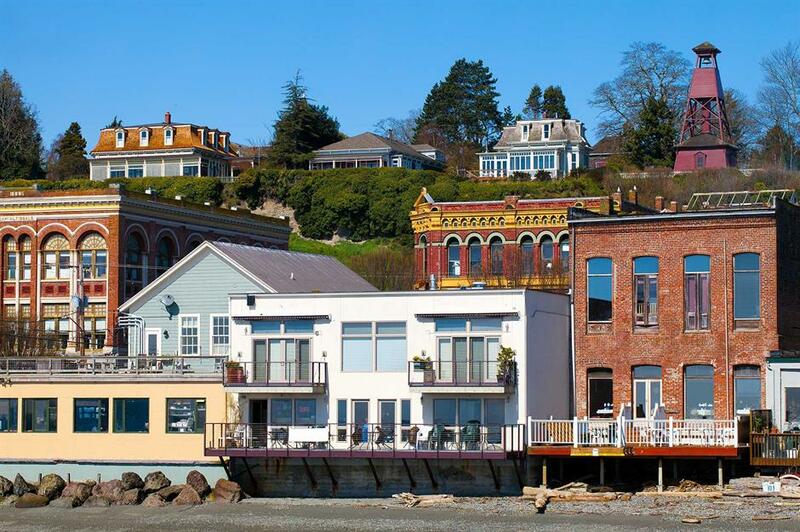 Admired for its pristine beaches, the waterfront is also lined with pretty, colourful Victorian buildings. The preservation of these eye-catching structures helped the city earn its title of National Historic Landmark in 1976. The old town of Taos is located in the Sangre de Cristo Mountains of New Mexico. The desert landscape is dotted with traditional adobe structures – the most striking of which is the Taos Puelbo (pictured). This community dwelling belonged to the native Puebloan people for over 1,000 years and is a UNESCO World Heritage Site. Most notably the host of 1932 and 1980 Winter Olympics, Lake Placid is an excellent destination for winter sports lovers. However, it’s also the perfect spot for fly fishing. The West Branch of the Ausable River, near Lake Placid, is a well-known year-round fishing destination. No visit to Beaufort in North Carolina is complete without a stroll along the town’s iconic Front Street. Enjoy the classic Southern-style architecture, unwind in the parks opposite the harbour or plan an afternoon of waterfront activities, from kayaking and fishing to cruises. It’s often said everyone knows everyone in the small and friendly city of Park River in North Dakota. Founded in 1884, this charming settlement has a rich agricultural history and is surrounded by miles of potato and corn fields. 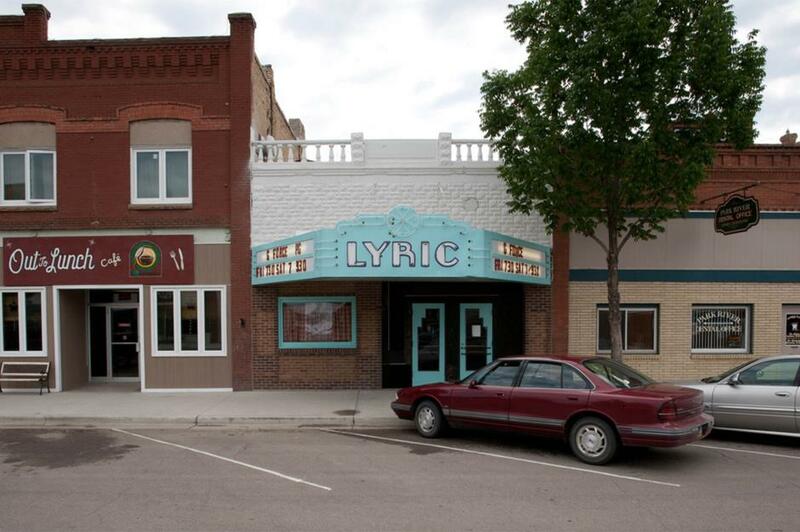 The Lyric Theatre (pictured), which opened in 1917, is a popular landmark. 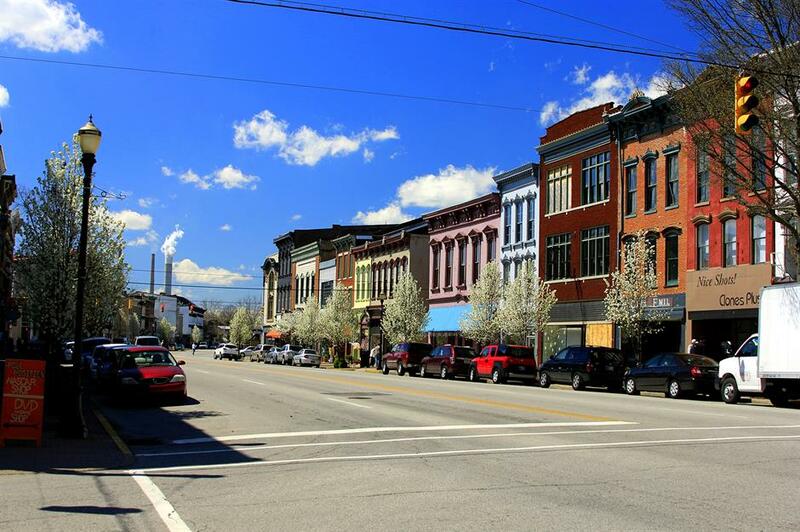 Granville in Ohio is known for its New England character and historic architecture. The picturesque streets are filled with candy stores, coffee houses, antique outlets and old-style bookshops. Stand-out sites include the Bryn Du Mansion, the stunning 1920s Midland Theatre and the Buxton Inn, which has been operating since 1812. 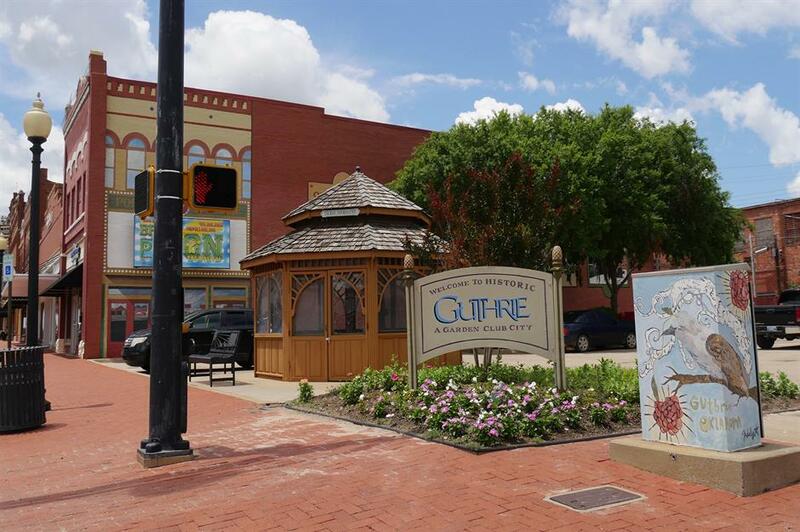 The former capital of Oklahoma, Guthrie is now a small city with an array of Victorian buildings and 19th-century stone facades. The historic downtown area is full of old-style architecture, antique stores and quirky attractions, and there are ghost hunting tours. The area is also home to the Scottish Rite Temple, one of the country's largest Masonic centres. 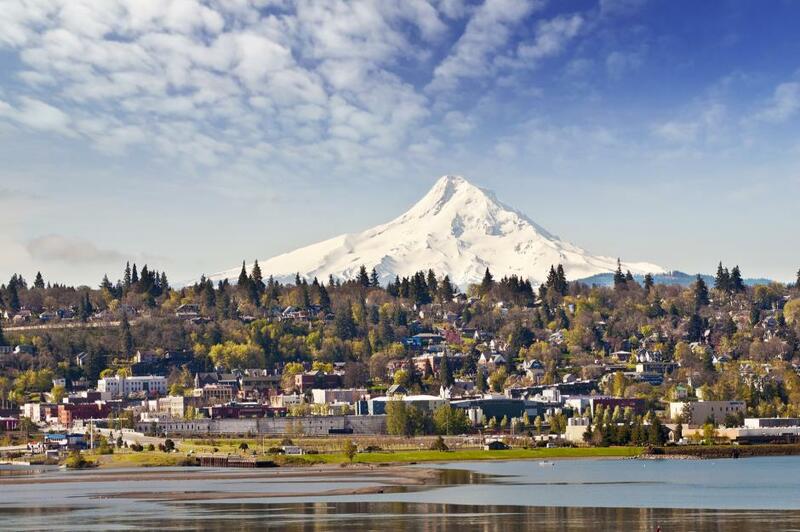 The beautiful port of Hood River sits in the foothills of the snow-capped Mount Hood on the Columbia River Gorge in Oregon. Given the landscape, it's not surprising that hiking, snowshoeing, mountain-biking and sailing are all incredibly popular here. With five breweries, there’s also plenty of good beer to enjoy. 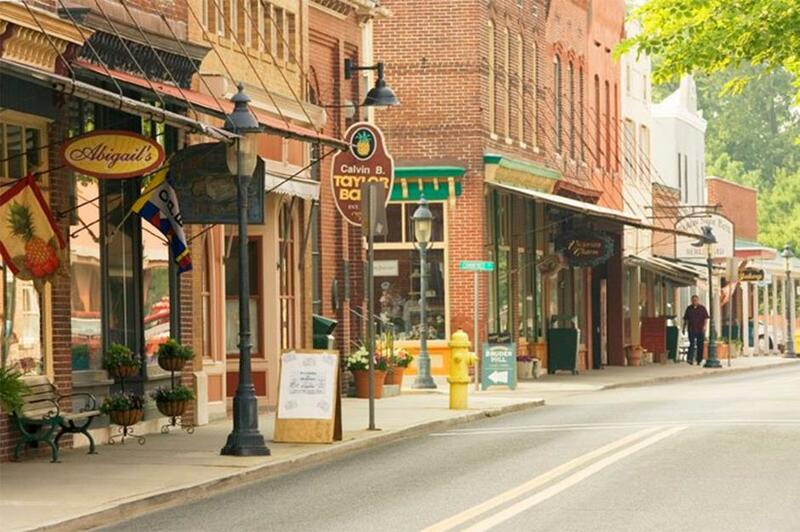 Nicknamed the Switzerland of America, the Pennsylvanian town of Jim Thorpe is nested in the Pocono mountains. 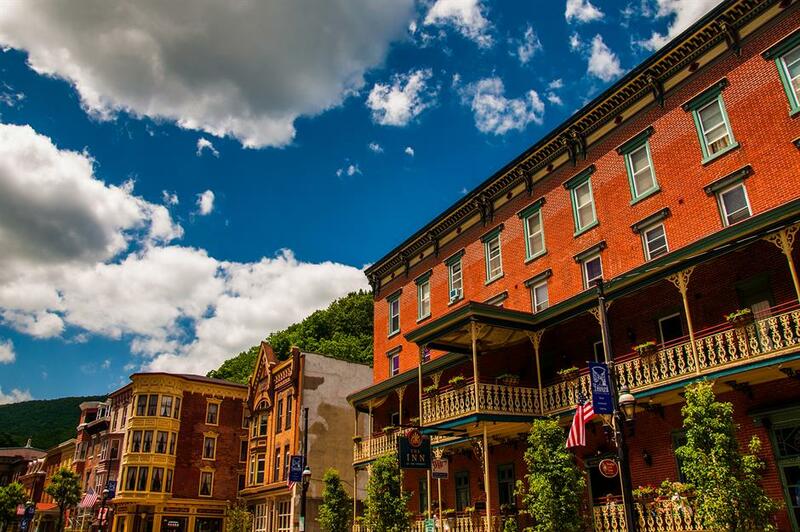 This alpine-esque town, with winding streets and Victorian architecture, also sits along the Lehigh Gorge, a spectacular state park with thick woodlands, dramatic waterfalls and a 20-mile long trail that follows abandoned railroad tracks. 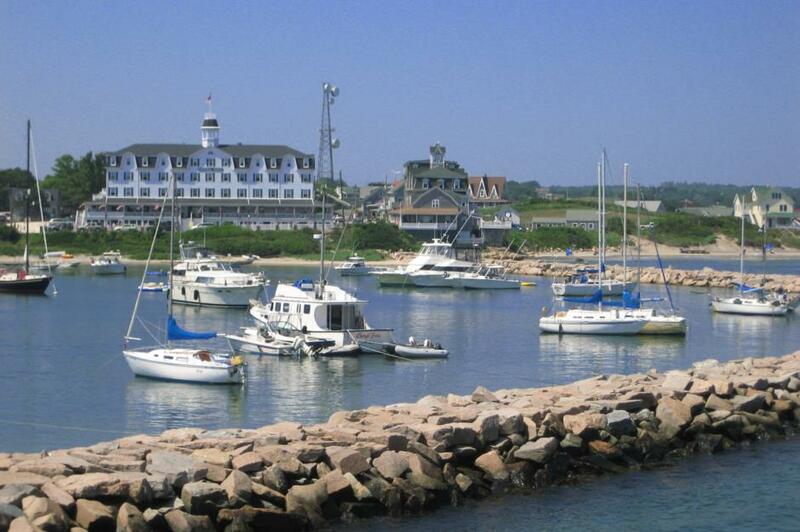 New Shoreham on Block Island is the smallest town in the smallest state in America. It's far quieter than nearby Newport or Narragansett, so still has all the quintessential charm of Rhode Island. Here you’ll find sandy shores, stunning lighthouses and miles of nature trails. Behind Charleston, Beaufort is the second oldest city in South Carolina. The area is renowned for its classic Southern charm, with stunning antebellum architecture and moss-covered oak trees. 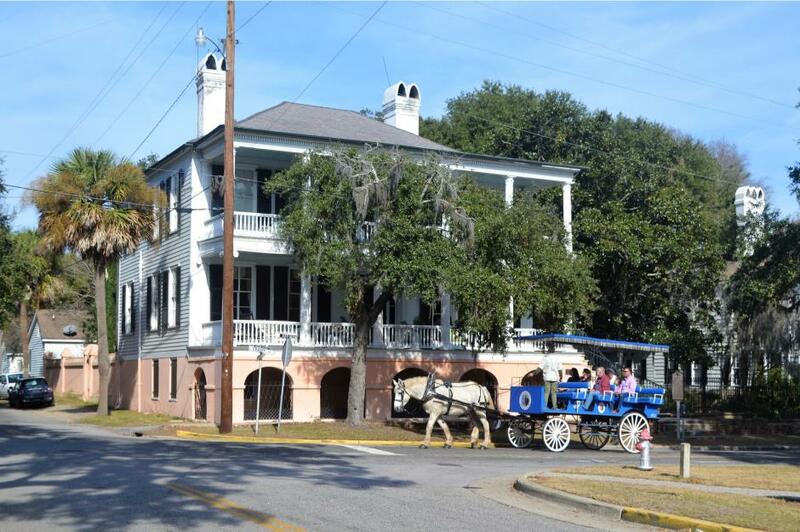 Walking tours or horse-drawn carriages run throughout the town, and the excellent Beaufort History Museum is worth a stop to learn more about the area. During the Gold Rush in the late 1800s, thousands flocked to the Black Hills of Deadwood, South Dakota to seek their fortune. These included Calamity Jane, Wild Bill Hickok and other notorious gunslingers, many of which you’ll find buried in Mount Moriah Cemetery. 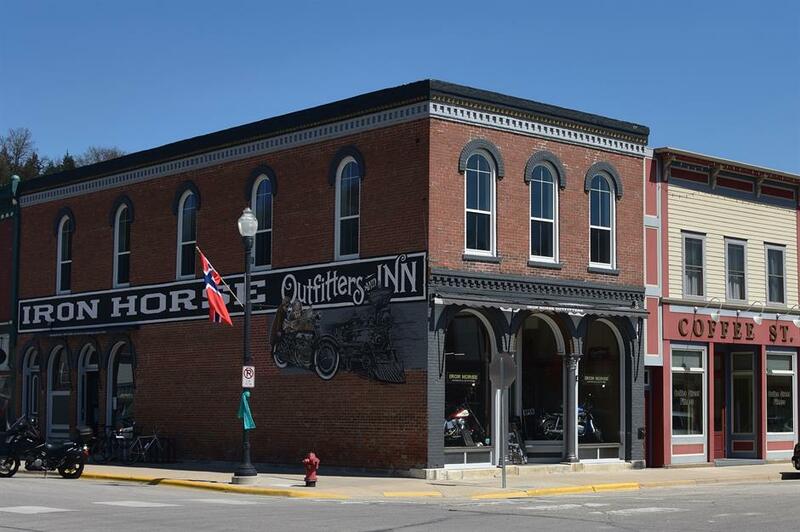 With just over 1,200 residents, this small town is a lot more peaceful these days, though you can still enjoy shoot-out re-enactments in the historic main streets and saloons. 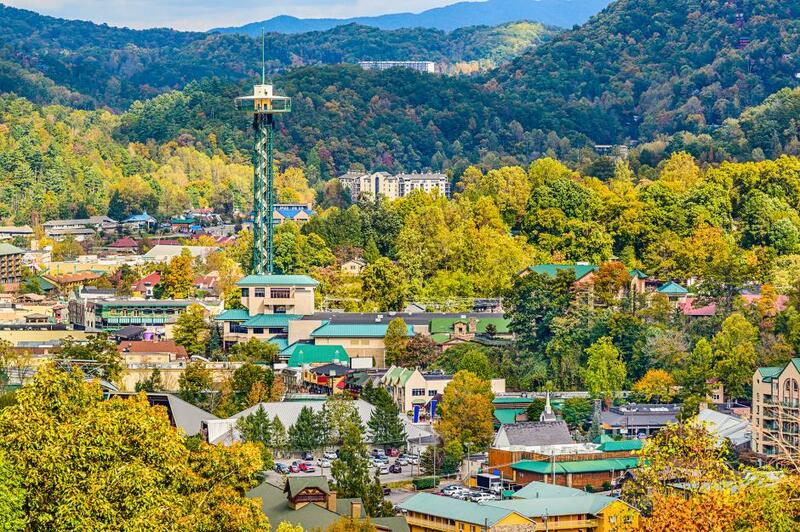 Many visitors head to Gatlinburg in Tennessee to explore the Great Smoky Mountains, but the town itself is also worth discovering. Head to the Gatlinburg Space Needle (pictured) or jump aboard the Ober Gatlinburg Aerial Tramway for great views of the leafy surrounds. You’ll also find plenty of charming restaurants, breweries, wineries and distilleries in the area. 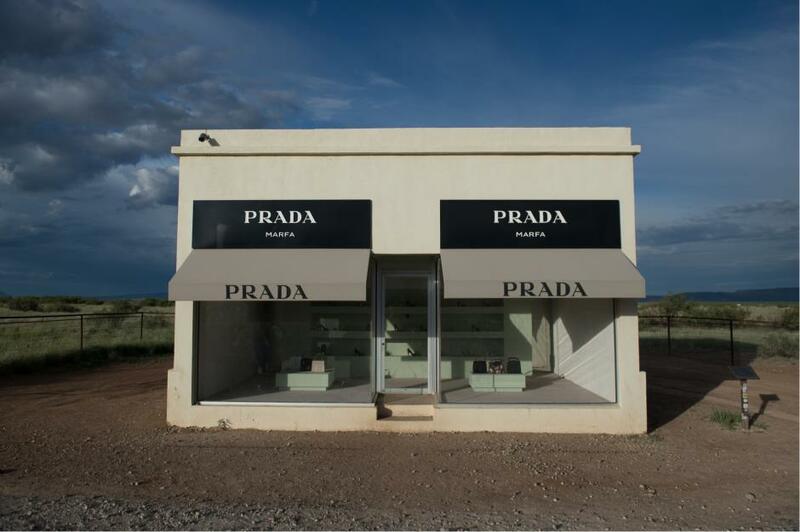 The tiny town of Marfa, Texas, only has 1,700 residents but it has become a nationally-renowned arts hub, largely down to one man. Artist Donald Judd fell in love with the desert community in the 1970s and transformed the place by creating the Chinati Foundation gallery, art installations (pictured), and film and music festivals. Since then, quirky shops and restaurants have flourished, including the popular Marfa Burritos. 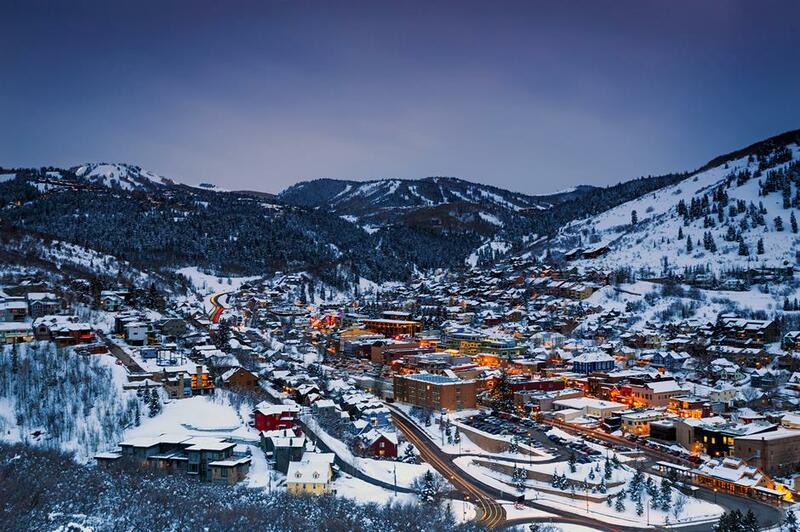 Despite hosting the annual Sundance Film Festival and the 2002 Winter Olympics, Park City in Utah is a surprisingly quaint city. Once a famous silver mining town, the area is surrounded by lush mountains and centred around the historic Main Street, which has over 100 independent boutiques, individual restaurants and bars. 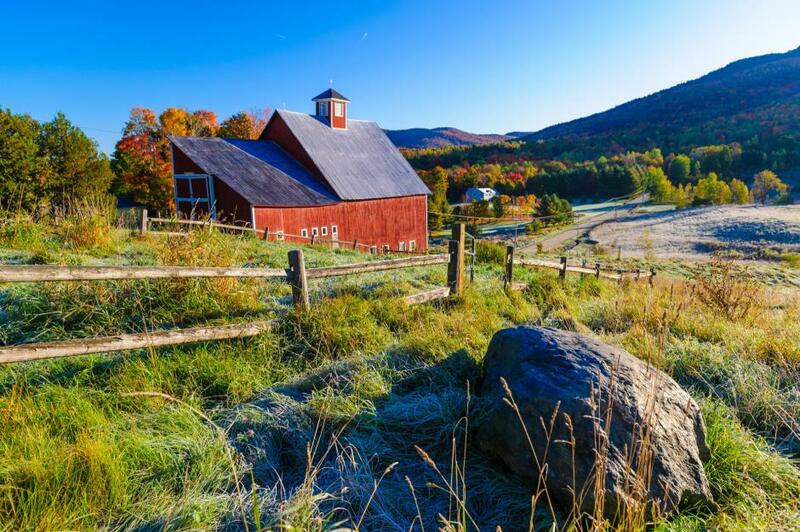 Stowe in Vermont is the perfect small town for nature enthusiasts, art lovers and ice cream fans who'll find Ben & Jerry's Waterbury Factory here. Not only is it home to thick forests, rivers and valleys but also the state’s highest peak, Mount Mansfield. There are frequent arts and crafts events, galleries and museums as well as an annual Hot Air Balloon Festival in July. 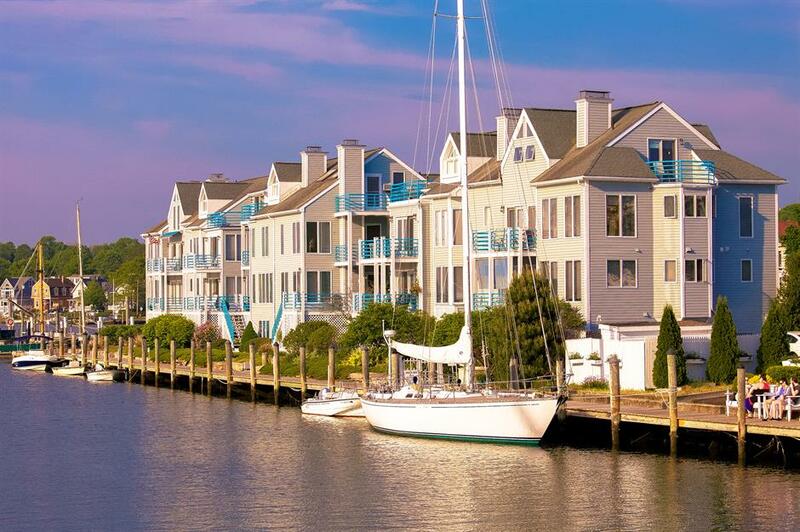 The adorable Chincoteague Island is just seven miles long and three miles wide but bursting with nostalgic charm. The area is dotted with cottages and surrounded by sandy shores and there’s a distinct lack of fancy resorts, high-rises or boardwalks. 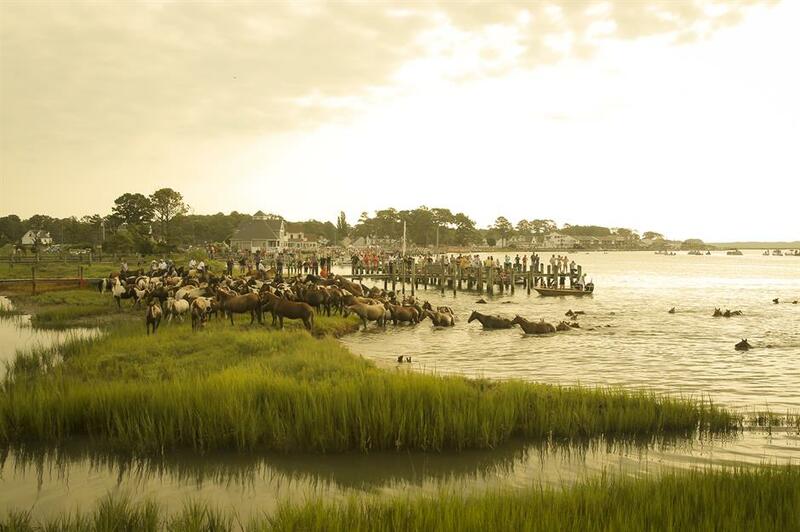 Head to the Chincoteague Wildlife Refuge to spot the 400 wild horses roaming the neighbouring Assateague Island or attend the annual Chincoteague Pony Swim to watch the animals enjoy a dip in the water. Port Townsend in Washington was an important shipping port in the late 1800s and is one of just three Victorian seaports in America. A wave of regeneration in the 1970s restored the area’s historic buildings and the small city now has a charming marina and thriving arts scene with several galleries and museums. With the largest clear water lake in the state and the only lighthouse, Summersville is a unique place to visit in West Virginia. 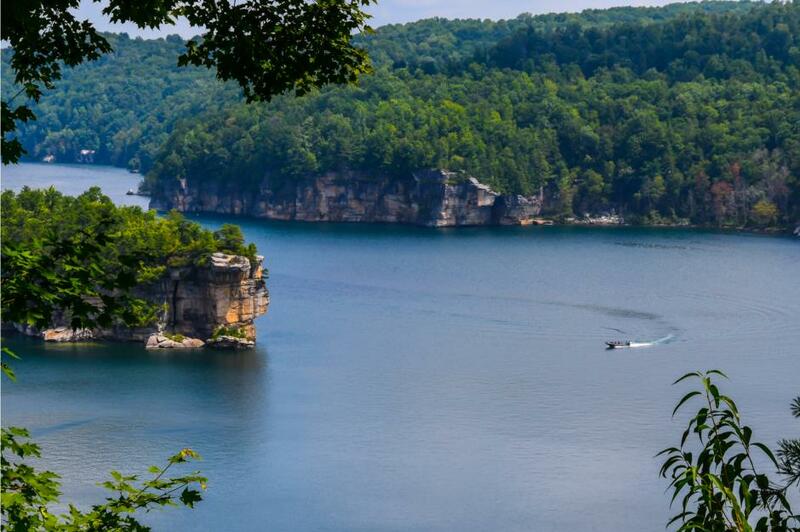 Summersville Lake is perfect for boating and swimming and has plenty of biking and walking trails. Downtown, you’ll find charming old storefronts and the neoclassical county courthouse, built in 1895. Love your motorhome? We've got you covered with our guide on where to stay in every state. Perched on the shore of Lake Superior and surrounded by apple orchards, lavender and strawberry fields, Bayfield in Wisconsin is a wonderful escape. For most of the year, it’s home to around 500 people, but thousands of tourists visit in the summer to enjoy the scenic waters, galleries and nearby Apostle Islands. 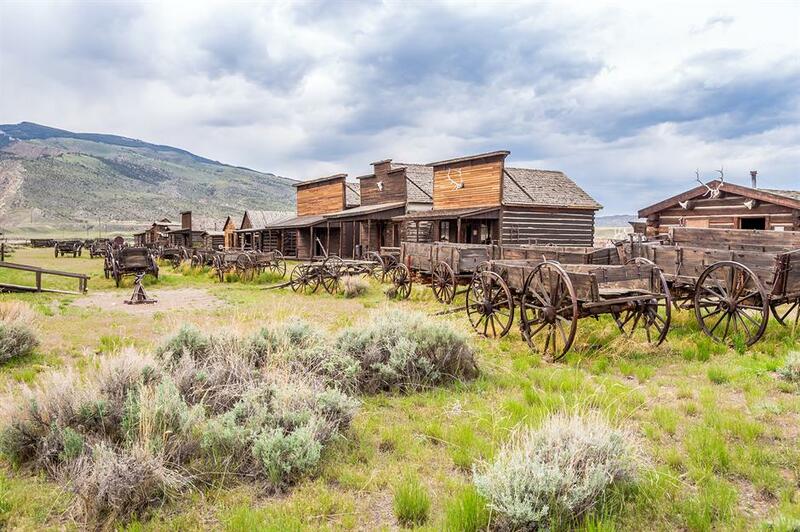 Discover the historic secrets of the Gold Rush-era ghost towns here. Cody in Wyoming was named after William Frederick Cody, better known as Buffalo Bill, and he’s still a mighty presence in the town. Here you’ll find museums and scenic byways dedicated to the famed showman, as well as the Cody Nite Rodeo, which features plenty of lasso-wielding cowboys. For the full Wild West experience, head to the nearby Old Trail Town (pictured) – a living museum with traditional cabins, a saloon and old wagons.